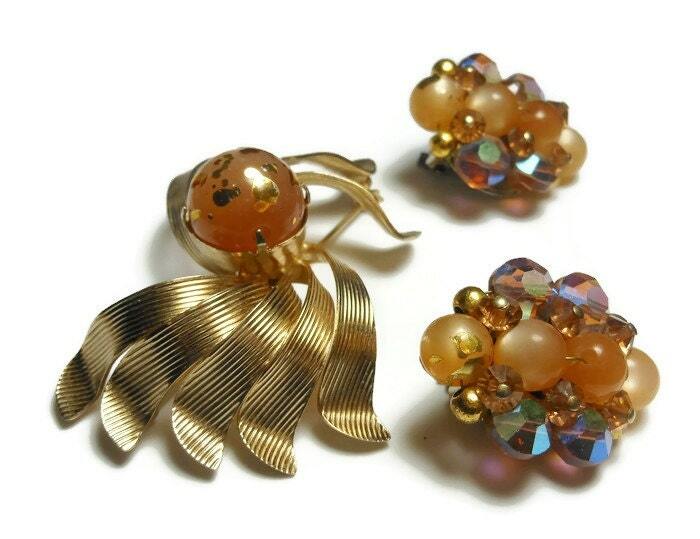 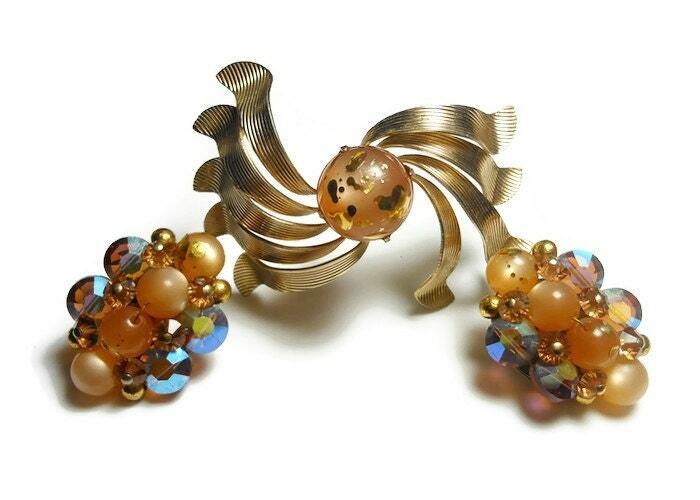 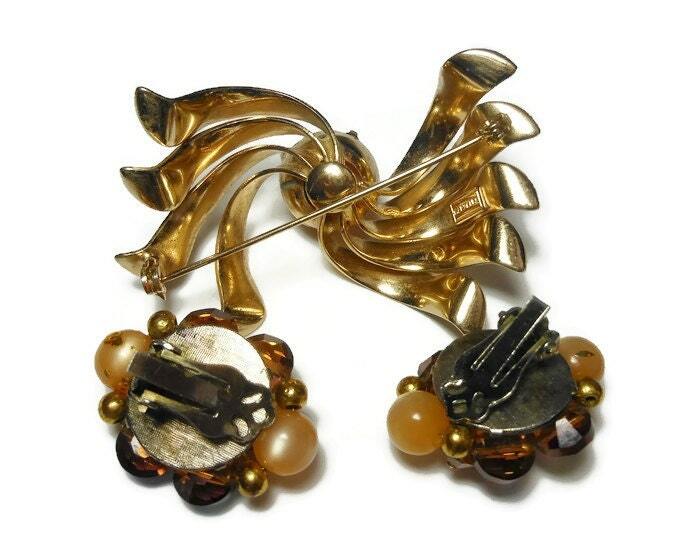 Marvella 1950s brooch and earrings set, a gold ribbons with gold splattered glass bead center, clip earrings have aurora borealis beads AB. 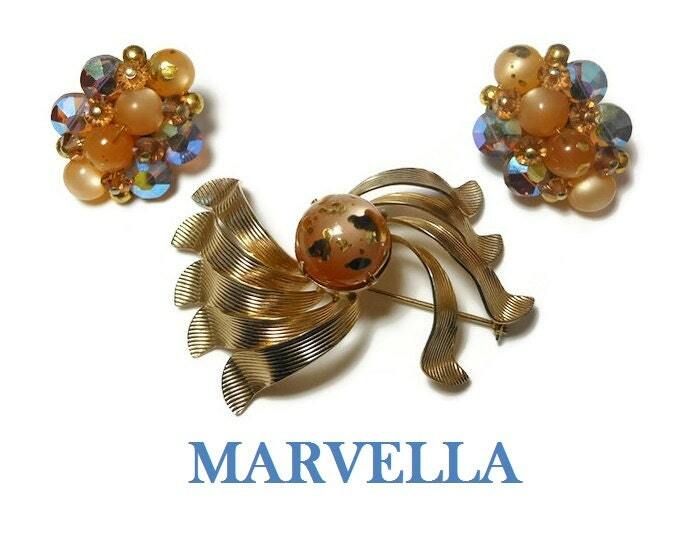 There is no copyright sign which generally indicates prior to 1955 but the aurora borealis beads date it after 1955 so I would put it at 1956. 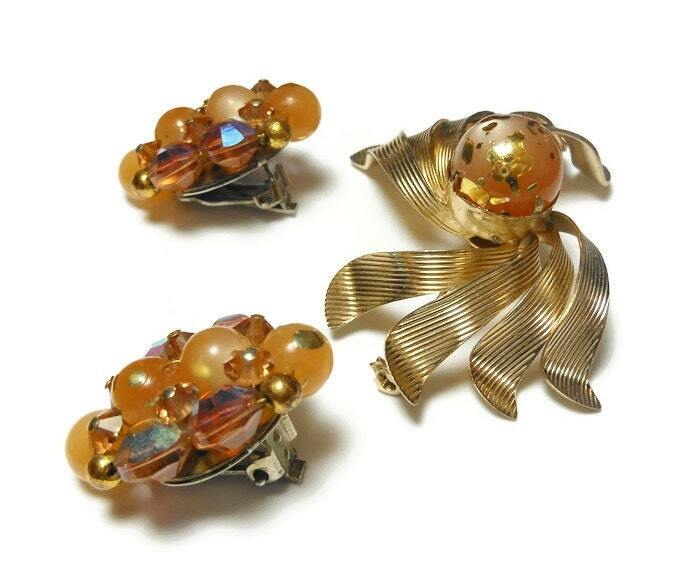 Brooch measures about 2 1/4" (5.7 cm) by 1 1/2" and the earrings 1" x 1/2" (3.8 cm), there is some minor pitting to the metal, else in very good vintage condition.